KV-2 - Soviet heavy assault tank the initial period of the Great Patriotic War. Abbreviation: KV means "Kliment Voroshilov" - the official name of the serial release of Soviet heavy tanks 1940-1943, named after the hero of the Russian Civil War, military and political leader Voroshilov Kliment Efremovich. 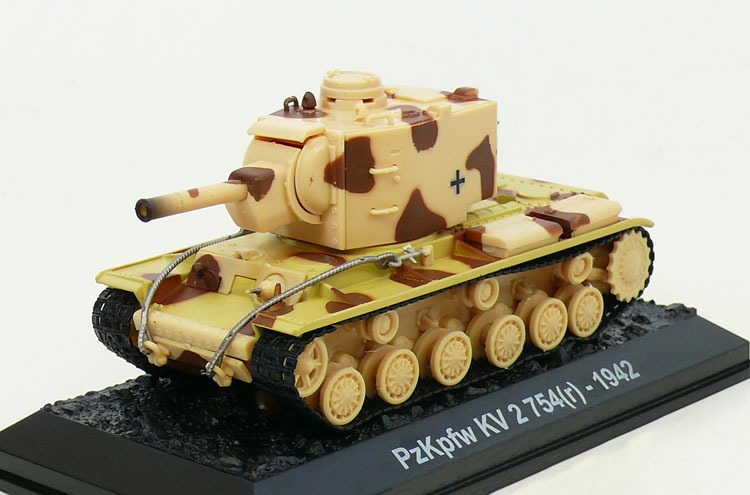 Index 2 is the second model in the family tanks KV. This machine was developed by the design bureau at Leningrad Kirov Plant (LKZ) in January 1940 in connection with the pressing need of the "Workers and Peasants Red Army" (RKKA) in a well-protected tank with powerful weapons to fight the fortifications of the Mannerheim Line during the Russo-Finnish war of 1939 - 1940. A month later, the KV-2 was officially adopted for the Red Army and serially produced by LKZ to October 1941 inclusive. The reason for withdrawing from the production served by several factors: material consumption and low reliability of the tank, the temporary absence of the Red Army in need of such machines, and the total evacuation LKZ cease production of tanks in Leningrad after the siege of the closure of the ring. Total LKZ built 334 KV-2 tanks, which are actively used in combat in 1941 and at that time were almost all lost. In the spring of 1941 the Wehrmacht was debating whether to invade British-held Crete or Malta as part of their Mediterranean campaign. In the wake of the summer invasion of the Soviet Union, several KV-2 tanks were captured intact, and seemed ideally suited to serve as bunker busters for operations on Malta. Several KV-2s along with some captured T-34s were formed into a special company of (z.b.v.) 66 for the Malta operation. In the event, the high costs of Operation Merkur against Crete led to the Germans abandoning plans to invade Malta. The KV-2s were later committed to the fighting near Demyansk in August 1942. 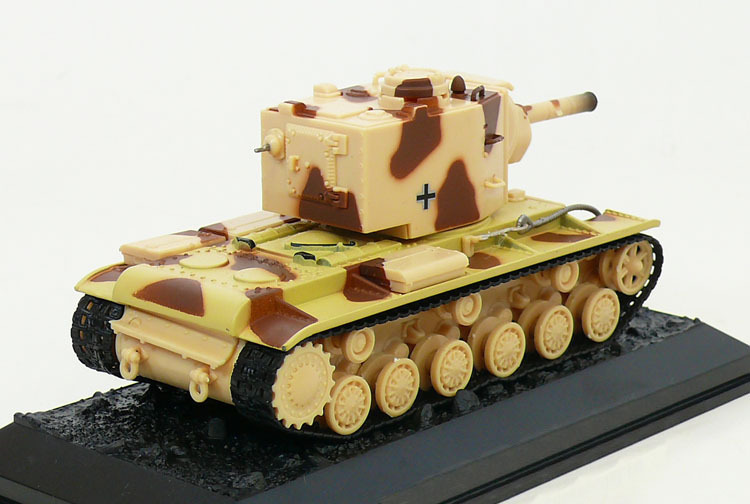 The KV-2s selected tor Malta were painted in the March 1941 tropical camouflage scheme of RAL 8000 Gelbbraun (Yellow-brown) and RAL 7008 Graubraun (Gray-brown). They carried the usual national insignia, and were modified with an added PzKpfw III commander's cupola.